Posted on Wednesday, April 4th, 2018 at 12:00 am. 1. Bookmark the BlogPaws 2018 Pet-Related Holidays and Themes: Bookmark this post, refer back to it, and save it for a year’s worth of 2018 pet-related holidays and themes to blog about and share on social media. Remember to put your own blog niche’s spin on the holiday(s). For example, if it’s National Cat Day and you are a general cat blogger, consider a post on litter box training, plan in advance, promote early, and then jump aboard the appropriate hashtag the day of the holiday. 2. Turn Back the Hands of Time: Share a historical perspective. When did cat litter first hit the scene? What mistakes were made along the way? When did ferrets become popular as pets? Great historical blog posts can perform well. 3. Frequently Asked Questions: Read through social media replies to your posts across platforms. What blog comments seem to present themselves time and again? Start gathering a list of all the questions and pain points received by your readers. These make for awesome blog post. Each question can likely be turned into a topic for your core audience. 4. Searches Related To: This is a favorite; head on over to Google, and type in “searches related to” for a treasure trove of what people are searching on with regards to a specific topic. 5. Pet Mental Health: No matter what pet(s) you blog about, the mental health and well being of that species always makes for good blog fodder. 6. Pet Supplies: This topic lends itself nicely to an affiliate post wherein you monetize. Compare and contrast. Use links as you are able for monetization without impeding the natural flow of the text. Looking for ways to monetize your blog with affiliate marketing? 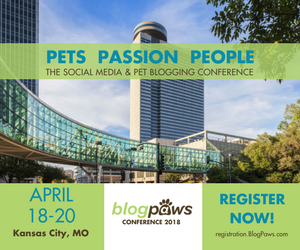 Attend my session on Affiliate Marketing at the BlogPaws 2018 Conference in April. 7. Newsmaker Pets: What are the pets in your niche doing in the headlines, whether locally, nationally, or internationally? Blog about it! Be sure to appropriately backlink. 8. Blog History: Not all of your blog followers have been with you since day one, and thanks to this fab idea from Dash Kitten (Marjorie Dawson), do a history of your blog post and loop in your best content! Great idea, Marjorie. Check out The History of Dash Kitten. 9. Poll Your Readers: Whether a blog post or a short post on social media, try polling your readers with a topic of interest. 10. Interview Pet Parents: Interview some of your regular readers on a topic. Share their tips and what works for them. 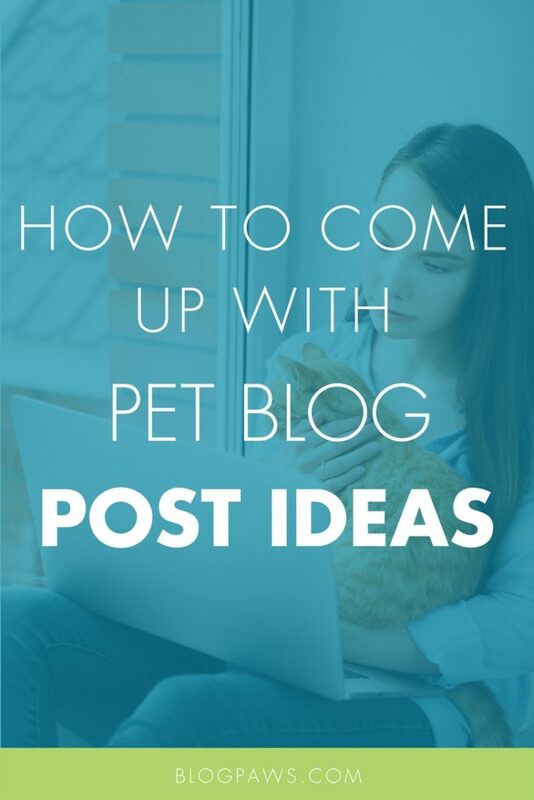 BONUS: Here are 10 more ways to generate blog post ideas.